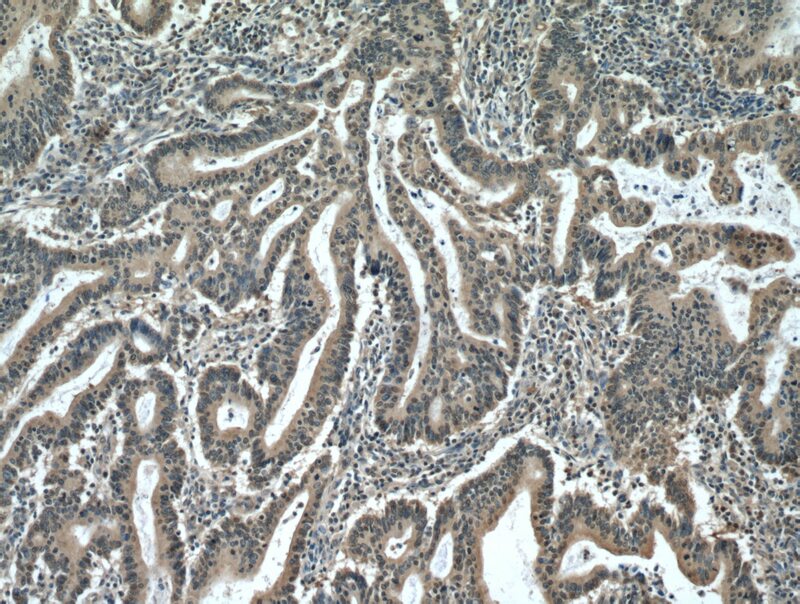 Immunohistochemical analysis of paraffin-embedded human endometrial cancer tissue slide using 12456-1-AP (PDCD5 antibody) at dilution of 1:200 (under 10x lens) heat mediated antigen retrieved with Tris-EDTA buffer(pH9). 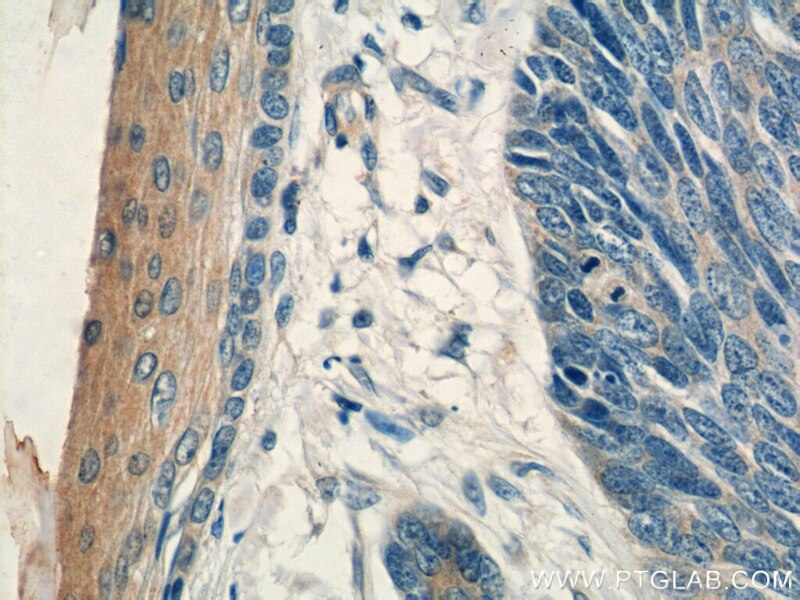 Immunohistochemical analysis of paraffin-embedded human endometrial cancer tissue slide using 12456-1-AP (PDCD5 antibody) at dilution of 1:200 (under 40x lens) heat mediated antigen retrieved with Tris-EDTA buffer(pH9). 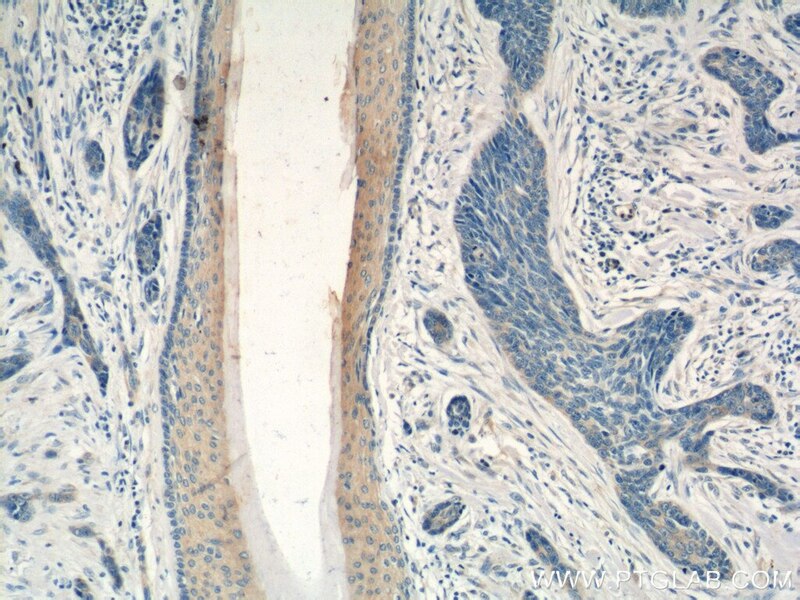 PDCD5, also called TFAR19 (TF1 cell apoptosis-related gene 19), was first identified as a gene up-regulated in TF-1 cells under-going apoptosis (PMID: 9920759). PDCD5 can promote pro-grammed cell death in different cell types in response to various stimuli and also enhance TAJ/TROY-induced paraptosis-like cell death (PMID: 15020679). During apoptosis, PDCD5 is rapidly upregulated and translocates from the cytoplasm to nucleus (PMID: 11741587). PDCD5 is a positive regulator of Tip60 and also has a potential ability to interact with p53 (PMID: 22914926, PMID: 19308289). Recent studies have also revealed that PDCD5 may be a suppressor gene and expressed at lower levels in many cancers, including hepatocellular carcinoma, breast cancer, gastric cancer, cervical cancer, lung cancer, astrocytic gliomas, and in leukemia. Programmed cell death 5 mediates HDAC3 decay to promote genotoxic stress response. 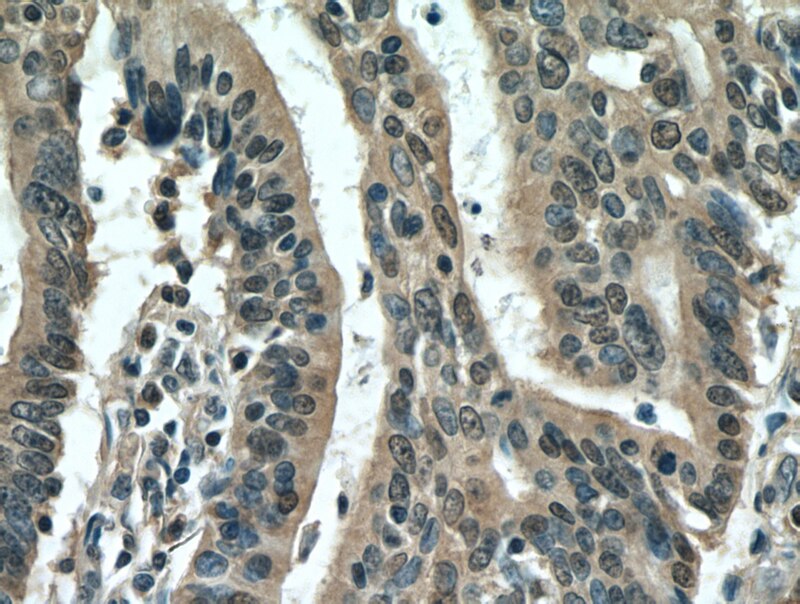 Serine/threonine kinase 31 promotes PDCD5-mediated apoptosis in p53-dependent human colon cancer cells. Profiling and identification of new proteins involved in brain ischemia using MALDI-imaging-mass-spectrometry. Protein serine/threonine phosphatase PPEF-1 suppresses genotoxic stress response via dephosphorylation of PDCD5. Pretreatment of Mice with Oligonucleotide prop5 Protects Them from Influenza Virus Infections.